Announcing Compound Interest’s #RealTimeChem Week 2015 competition! I have a rather exciting announcement for #RealTimeChem Week 2015, courtesy of Andy Brunning of Compound Interest: a competition for all you research chemists out there. This is your chance to have your research turned into an info-graphic by Compound Interest and featured on the website during #RealTimeChem week. Compound Interest’s graphics have have been featured on sites all over the world, including The Guardian, Huffington Post, Forbes, Buzzfeed, IFLS, io9, NPR, Smithsonian, Vox, The Mail Online, and Business Insider. Want a Compound Interest graphic made based on your research? For this year’s #RealTimeChem Week, Compound Interest is looking for chemistry researchers who want to explain the everyday applications of their area of research. To enter, all you have to do is write a piece no longer than 500 words long, detailing the focus of your work and its relevance to non-chemists, in language non-chemists can understand. From the submitted pieces, five will be chosen to have graphics made based on them, and these graphics will then be featured on the Compound Interest site during #RealTimeChem Week. 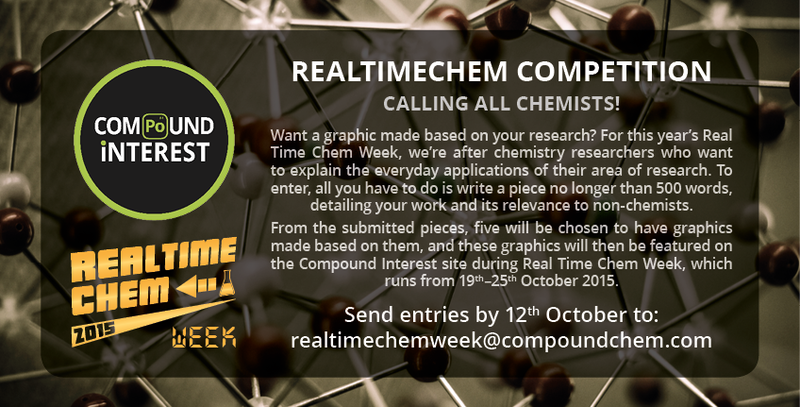 To enter, email your 500 word piece to realtimechemweek@compoundchem.com . My name is Anna Ahveninen. Although that surname can try to convince you otherwise, I’m half a year into my PhD at the University of Melbourne, in Australia. The broad scope of my project is the synthesis of metallosupramolecules and their characterization by X-ray crystallography. The finer details? Well, that’s taking a while to figure out. I’ve only been at the University of Melbourne for as long as I have been working on my PhD. I moved to the Abrahams-Robson group from Monash University, where I completed my undergraduate degree with honours. Having fallen in love with transition metal chemistry — the beautiful coloured complexes and their satisfyingly sparkly crystals — and crystallography in my honours year, the transition to my current project was not a difficult one. Kickstarting it has definitely been troublesome, however. In the past six months, I have been chasing a discrete assembly without a grain of success. The last two months saw a change in my focus from discrete assemblies to coordination polymers (with the same coordination motif), and just a few short weeks ago, I finally hit the jackpot. A red, sparkling, reproducible jackpot. Since then, I have been working away at trying to turn that result into more results, hoping that it will propagate into a project and grow, with care and love and hard work, into a thesis. The following is a sample of how I am going about that. Mondays are pretty exciting for someone working on a crystallography project. Mondays mean that my reactions will all have had at least two extra days to crystallise! I pick up my rack of vials and carry it with a flourish over to the microscope to check for clean edges and tell-tale sparkling. Since we do not have a microscope with a camera in-built, macroscopic pictures of my sparklers will have to satisfy you (Fig. 1). Figure 1: Vials full of sparkly crystals, ripe for the X-ray diffractometer. I set about my run-of-the-mill inorganicky business until my group’s favourite time of the day: tea time. Although we have no formal group meetings, we meet with our supervisors every day around 4 pm for tea. It gives us the opportunity to ask questions of our supervisors and bring new results to their attention, while also being a nice break and group bonding activity. The group bonding consists of doing the quiz in the Herald Sun and a game involving Fred Basset. Fred is a little tradition that goes far back enough in the Abrahams-Robson group that its origins are unclear. In this game, one of our group members describes the comic strip (Fig. 2). Our job is then to guess what Fred says in the last frame. Weirder than weird to an outsider, this tradition absolutely grows on you, and has become akin to a religious duty in our group. Figure 2: Fred Basset in his natural habitat. Fred’s home is at gocomics. My afternoon comes with the pleasant surprise of overnight time on the X-ray diffractometer. One of our postdocs does all of the diffractometer time allocation to ensure that the time is divided fairly, so it always seems to spring up on me. The X-ray diffractometer (Fig. 3) has to be my favourite instrument. I get a serious thrill when sorting through crystals on a glass slide under the microscope, picking the one I think looks the most promising, mounting it on the diffractometer, centering it and then shining some X-rays on it. The excitement builds at the initial blank frame, and a few seconds later – boom! Diffraction (Fig. 4)! As is common in science, the usual result is very little diffraction, streaky diffraction, or no diffraction at all. It’s all worth it, though, when that first frame flashes up and the spots are well-defined and single and strong and beautiful. Figure 3: The University of Melbourne X-ray diffractometer. 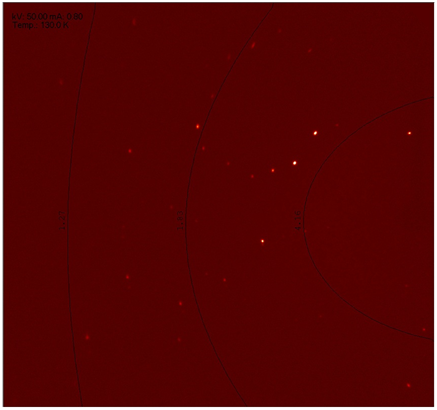 Figure 4: A frame from one of my X-ray diffraction data collections. The morning begins with a coffee with my group mates, followed by the weekly inorganic chemistry seminar. This week, it is a group member’s colloquium, wherein he has chosen a field of chemistry outside his project to give a talk on. These talks are very interesting to listen to and are usually very educational, both for the speaker and the audience. The rest of the day is spent trying to make sense of my X-ray diffraction data, since I have had the misfortune to be working with high-symmetry cubic systems with a high degree of disorder. 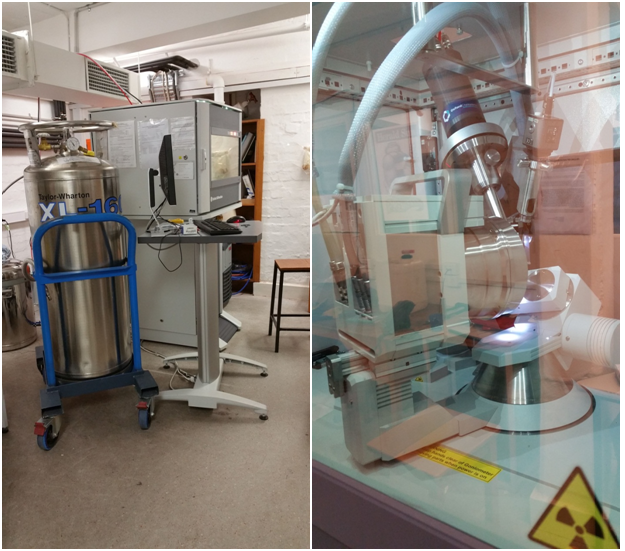 Late in the afternoon, I stop bashing my head against the crystallography wall and take some of my amorphous and microcrystalline samples to the IR spectrometer in the teaching labs. IR spectrometry is free and easy; it helps give me an idea of whether a reaction that doesn’t want to grow nice crystals is worth pursuing. Wednesday morning is when I would usually demonstrate for my first year class, but since there are no first year practicals running this week, I get a free morning. I spend my time marking reports from the previous experiment. I turn my attention to the lab afterward, but discover that frantic preparation for powder samples for the Australian Synchrotron from two weeks prior has left my stash of 3 mL plastic syringes precariously low. I get a reaction or two in, and am then forced to find something else to do while I wait for the chemistry store to fill my order. Mid-afternoon, I meet with my supervisor for a long talk regarding my red, sparkling, reproducible jackpot and where we can take my project from here. An hour of musing, brainstorming and me frantically scribbling down notes later, we break for tea. My spirits are elevated and the future of chemistry is looking good. To my annoyance, I discover that the delivery of 3 mL plastic syringes is excruciatingly slow. Crippled into inability to do my reactions, I spend part of my day backing up my lab notebook. A good method that I learnt from the postdoc in my honours year, is to take pictures of your notebook pages and create an index in Excel to correspond to compound syntheses found on particular pages. Leafing through my notebook leads to a decision to create a spreadsheet to track the variables of reactions I have been doing. I feel more secure having it available at a glance and organised, as I swear I can feel the details slipping out of my brain. I also spend some time catching up on my journal RSS feed, which I admittedly ignore in favour of doing lab work much more often than I should. With the delivery of my plastic syringes, I can get into some serious synthesis action. My ligand, when deprotonated, tends to oxidise easily in air. To combat this, I bubble nitrogen gas through all three layers to drive out as much air as possible before layering my ligand with a layer containing a base, a metal salt and a counter-ion (Figure 5). The third vial contains a buffer layer between the two. I run two reactions parallel, as this saves me time in the long run. Figure 5: How metallosupramolecular chemists do air-sensitive chemistry. In case you are curious, the 3 mL syringes come in during layering. I layer my reactions in the reverse order, starting with the least dense layer. Then, I inject the buffer layer below the initial solution, and finally, the densest layer. The volume of the syringes is important since I don’t like to do more than one injection per layer: for one, the suba seal becomes compromised quicker, and for another, it is easier to mess up the layering with more than one injection. Syringes with a too-high volume are also unwieldy and tend to draw in too much gas. When layered well, the reactions can look pretty spectacular (Figure 6). 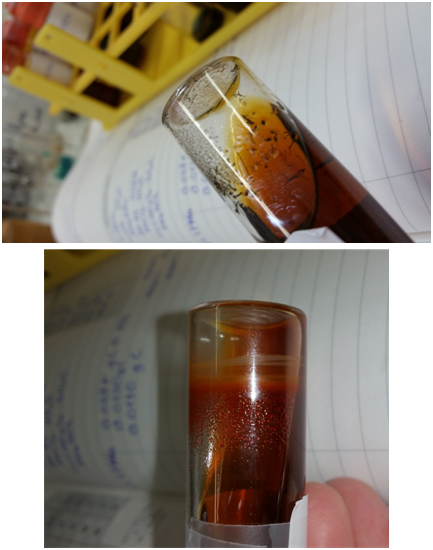 Figure 6: Either layered reactions or bottled sunrise. My day, and week, draws to a close with drinks, snacks and a game of Cards Against Humanity with my group mates. What better way to end a week of brain-intensive work than a really inappropriate game with a bunch of really awesome people? It’s evenings like these that remind you that life – and science – are awesome. 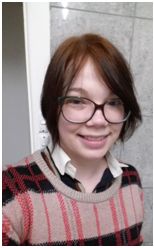 Anna Ahveninen was born and raised in Finland. She completed her Bachelor of Science with Honours in 2014 at Monash University, Melbourne, Australia. She is currently a PhD student under the supervision of Assoc. Prof. Brendan Abrahams at the University of Melbourne. 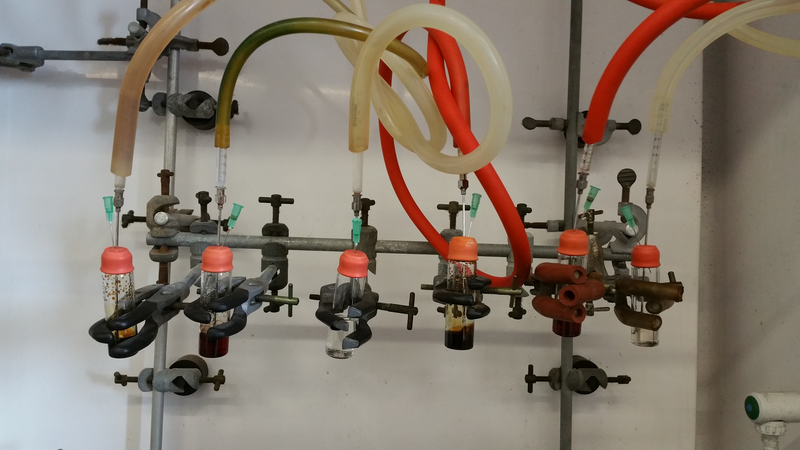 She tweets under the handle @Lady_Beaker and blogs on Chemistry Intersection. If you are a blogger interested in writing a guest post for #RealTimeChemInFocus, please get in touch with @RealTimeChem on Twitter. Also don’t forget about #RealTimeChem Week 2015’s blog carnival, starting 19th October. Find out more here.